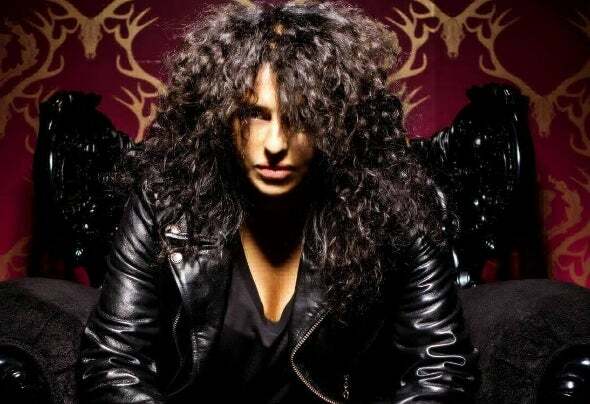 Nicole Moudaber is an event promoter, record label founder, radio host, and one of the most passionately followed DJ/producers in the world. The one-woman army is marching her muscular take on techno all over the globe, winning fans not only with her music, but her way of being, that’s at once uncensored, inclusive, and fierce. With her trademark shock of untamed dark hair, the Nigeria-born artist can be spotted in a DJ booth by profile alone, rocking crowds before she even drops a record. In-demand all over the world, Moudaber has played everything from intimate after-hours clubs; to revered nightclub institutions like Space, DC10, Output and Stereo; to massive festival stages, including Glastonbury, Electric Daisy Carnival (hosting her own MoodRAW stage), and two appearances at Coachella.She’s been featured by the New York Times and CNN, named “one to watch” by Billboard and Paper magazine, and has graced the cover of electronic music magazines in several countries. Her weekly radio show In The MOOD - which Moudaber hosts with her unmistakable husk-and-honey voice - won Best Online Music Show in the 2016 Online Radio Awards, and is syndicated across over 70 FM stations in over 50 countries, commanding over 15 million listeners worldwide. She has over a million social followers who she dialogues with daily, sharing candid thoughts on music, work, and life.A true global citizen, Moudaber resides in London and Ibiza, with frequent stopovers in New York and Los Angeles. She supports NYC’s Lower Eastside Girls Club, which helps disadvantaged young women access the tools they need to pursue their passion for music.